Disclaimer: This review is for educational purposes only. The opinions expressed herein are those of the author(s) and in no way reflect those of BluegrassDaddy.com. The information herein is designed as reference material only, and in no way whatsoever will the author(s) of this article or BluegrassDaddy.com be held liable for any loss of monies, injuries, loss of life or anything else whatsoever as the result of a purchase(s) that a reader might persue on the heresay of this article. Therefore, readers of this article are strongly advised to do their own research BEFORE purchasing a violin, and, if possible, to always visit the vendor in person and try the prospective violin themselves. The video reviews below focuses mostly on the "student level" type of violin; the type that is suitable from beginner through to intermediate student. I have tried to keep the reviewed violins under $500; however, I have included one or two that go a little above this price point, simply because I think they are worth mentioning because of their quality of sound and build. I have focused more on the "brand name" manufacturers; reputable brand names that produce good quality fiddles. The violin models chosen here are the models that are regarded as good quality student instruments that come from quality manufacturers. All bar two --the Gliga brand violin and the Knilling brand violins, mentioned farther down -- are made in China. Note that more information will be added to the Gliga review as soon as I am able. All prices listed here are in U.S dollars. The score that you will see at the bottom of each brand is the score given for the quality of the manufacturer's instruments as a whole, and not for any one particular model. My aim in doing this review was to put as much information all in the one place, as regarding written information as well as the videos, so that as much as possible is laid out for you; and all you have to do is lean back and keep scrolling down through the review in order to get the best out of it; having a lot of the footwork and searching already done. Once again, a portion of this review has been captured from a couple of other smaller reviews (credit to those reviewers is made at the end of this review) and a lot of it is my own contribution as far as text and the inclusion of the Youtube video reviews. As mentioned above, this review is a work in progress and, therefore, will be having more information added to it over time. Some of that information will include extra written reviews, extra Youtube reviews and the addition of our member's personal recommendation for a particular "Brand Name" violin they like to play, and that is not already in this review. Okay, let's get on with the review!!! Gathering independent information on the Eastman Strings company was not easy, as there is not a lot of independent information around, despite the popularity and quality of their violins. As, such, it was even more difficult to source in-depth independent reviews and videos. However, the Eastman website does have a list of all their retailers / re-sellers both nationally and internationally. That said, let it be known that Eastman strings is a musical instrument company founded in 1992 by Qian Ni, who had come to the United States from China to study music, and who, with two partners, decided to make quality hand-made stringed instruments for the American market in the "old world" method of violin making. The Eastman company is renowned for the quality of their craftsmanship that goes into the making of all their stringed instruments, as well as for their tonal quality. All their violins are hand-made. Their motto is “Modern Instruments; Old Fashioned Quality”. At the forefront of Eastman Strings is their commitment to musicians and educators by making the finest instruments for each level of play. This ensures the musical success and confidence of students, teachers and professionals. There is no doubting that Eastman Strings violins sound and look beautiful; and beginner students are eager to practice on them because of the quality of their sound. They have been a strong competitor in the student violin market and are renowned for their consistent tonal qualities and craftsmanship. The entry level violin in the Eastman range begins with the Samuel Eastman VL80; however it is the VL-100 that receives some excellent reviews for a beginner violin insofar as its craftsmanship and its clear and resonant tone, as well as its excellent value. The Eastman range of violins have four different levels to suit just about anyone, from beginner student all the way up to the discerning professional. For the sake of this review, however, we will focus on the two beginner student violins that are available for under $500 -- the Eastman VL80 and the VL100. There is a possibility that this model might not be made at the Eastman factory. It could very well be made at an unknown Chinese factory and sold by Eastman under their own brand name. However, despite its origins, the VL80 makes for a good beginner instrument and can have very good power and projection with the right choice of strings. It does not however, have a lot of complexity, and its finish appears to be a sprayed on lacquer. This is a very basic model; and for the small difference in price, it might be worth considering the VL-100 instead, for a much better violin. This model is a step up from the Eastman entry level VL-80 model, with even better sound. This model has received praise from the most exacting critics. It is highly recommended by schools and private studio teachers and has become a staple of string programs everywhere. The VL-100 definitely comes from the Eastman facility and has a hand applied spirit varnish laid over much nicer-looking wood than that of the VL80. Many of these models are surprisingly good and make for a decent-sounding student instrument with good re-sale value when you decide to move up. -- Glowing amber-brown varnish that is durable as well as attractive. Both the VL-80 and the VL-100 come as a kit that features case, bow, and rosin. Despite the lack of information on these two violins, I believe that if a budding beginner is serious about acquiring a really good first violin, then they should definitely consider the VL-100 and begin their inquiries at their local music store and go from there, OR locate a re-seller through the Eastman website that is listed above. Regrettably, no worthwhile video reviews are available at the time of writing. Stentor, is a stringed instrument manufacturer who supply quality hand-crafted violins that are quite within the reach of those on a tight budget, and which are recommended by many violin teachers and violin shops as a great beginner's violin. This well-respected company has been manufacturing violins for a number of years and is one of the most popular brands on the market. Their violins are easily-played, and their high quality of craftsmanship and finish gives them the appearance of looking a lot more expensive than what they really are. Their sound is often described as being warm and slightly dark; however, many reviews who have played the student level Stentor violins -- as well as myself, who currently owns a Stentor 2 / 1500 model -- I will concur that the sound is indeed slightly on the dark side; however, like so many reviewers and owners of these violins have pointed out, the Stentor student model's sound does NOT project very well and their sound is "boxy" and "wooden". The lower strings have an uninteresting no-"personality" sound, and the G string sounds frightfully "woody"; which makes me avoid playing any piece of music that reqires the G string to be played. I have tried different setups and different brands of quality strings, but the sound of the G string still sends a loathing through me. I have noticed from my own experience playing one of these violins, that while there is abundant resonance when playing open strings, the sound becomes remarkably dull and uninteresting when the strings are fingered. Apart from the boxy, muffled sound, my other complaint is that the violin is way too heavy; which has also been an observation of many reviewers of the Stentor student level violins. With the chin rest attached, it weighs in at 620 grams! Consider, if you will, that a regular violin of good quality should weigh around 500 grams. That makes the Stentor 120 grams over weight! I believe some of that excess weight is in the thickness of the plates, and some is in the scroll. When balancing this violin, it appears to be a little scroll heavy. These models come in either glossy or satin finish. The satin finish looks dull and unremarkable; whereas, the glossy finish gives it the look of a more expensive violin. That said, there have been many complaints regarding the uneven thickness of the varnish; which in fact is actually sprayed on polyurethane. My Stentor 2 violin does not suffer from this defect. On mine, the "finish" is even and remarkably well done. This violin comes as an outfit which includes violin case, decent bow, rosin, and factory -grade steel strings. However, you may wish to replace the strings with better quality inexpensive strings like D'Addario, Helicore or D'Addario Pro Arte for optimal sound. Despite the complaints I have regading my Stentor 2 violin, I still feel, for their price, that Stentor student model violins are good value for money as a beginner's violin; and if cared for properly, should retain a good re-sale value. Cons: Too heavy; plates too thick; too scroll heavy; fingerboard too wide, dull "boxy" sound that does not project well; D and G strings have an uninteresting woody sound; G string especially sounds woody and lifeless; the Maple used looks boring and has no flaming whatsoever on the back. Country of manufacture -- Germany, the Czech Republic, and Romania. The Knilling brand of violins is the oldest violin company in North America; having over 90 year in the industry and being one of the largest suppliers of student-grade stringed instruments in the world. These finely-crafted violins are made in Germany, the Czech Republic, and Romania and then sorted and marketed under the one brand name of Knilling. They produce a relatively good beginner violin for a reasonable price and are well-known among violin teachers, stringed instrument stores and students. Fingerboards are ebony, and the pegs and tail piece are either ebony or boxwood. Strings are either Thomastik Dominant (perlon), D'Addario Prelude (steel) or D'Addario Helicore (steel) strings. You can pick up a Beginner student outfit for around $500, which includes the case, and bow, shoulder rest, a wire violin stand, rosin, a soft cleaning cloth, and a violin tuner. Caveat: Violins of a lesser quality are sometimes marketed under the Knilling brand, so be certain you are getting one of their superior quality violins before you part with your money. Always try before you buy! No Knilling video reviews are available at this time. Cremona is renowned for making high quality, good-looking stringed instruments and bows from beginner to professional models and are well-known as a quality brand for beginners. Having won many awards, their violins offer not only good looks, but excellent playability and sound. Their luthiers are trained in the traditional art of violin making by Italian and German masters. And the bows that come with the outfit are crafted by award-winning Master Shang C. Guan. As with all violins, the more you pay, the better quality the instrument, and this is no exception with Cremona. Their more expensive (intermediate to professional model violins) are more masterfully crafted, and come with better quality wood and fittings. Quality maple and spruce is used in the making of all their violins. Their outfits come with a case and bow and rosin. Below is a comparison demonstration video of the Cremona SV-500, SV-600, and SV-800, courtesy of Strings Magazine. The Franz Hoffman beginner violin line is the exclusive beginner violin line promoted at Shar. These violins are a favorite for many Suzuki and Private teachers for their warm tone and reliable projection. Franz Hoffman violins are nicely crafted, and have a brilliant, consistent tone. Their Amadeus violin outfit comes with a case, brazil wood bow and rosin. It is recommended that you invest in a slightly higher quality violin from their range if you are looking for a higher quality violin. Each violin is outfitted with Thomastik Infeld Vision strings that create a very focused and clear sound with little effort. And, each Franz Hoffman violin sold by Shar is set up in their Ann Arbor, Michigan shop. Franz Hoffman violins sold through Shar come with a 1-Year limited Warranty with a 30-Day No Hassle Return Policy. 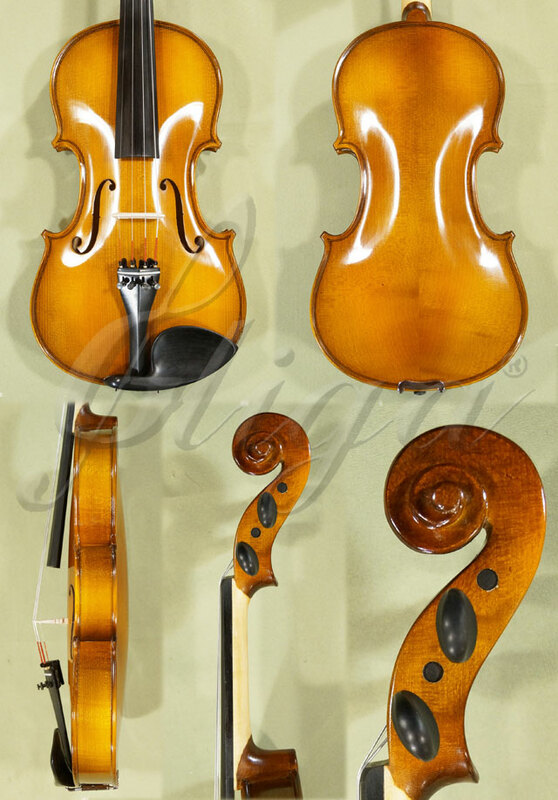 Also sold by Shar, the Carlo Lamberti brand of violins is for those who wish to have a slightly higher quality violin suitable for the beginner and intermediate student, when compared to the Franz Hoffman range (above). Carlo Lamberti violins are made with the highest quality wood and have nice tone and projection. They come in all sizes and are set up in the Shar Ann Arbor Michigan violin workshop with the inclusion of Thomastik Infeld Vision strings. The Carlo Lamberti range of violins sold through Shar come with a 1-Year limited Warranty with a 30-Day No Hassle Return Policy. Being praised for their tone and quality, Scott Cao violins are played in orchestras and by soloists world wide. And he, himself, is considered one of the better contemporary violin makers, with his more expensive models being of the highest quality. More of an intermediate-beginner model, Scott Cao violins boast quality maple, spruce, and ebony from Bosnia, Italy, and India respectively. Though his higher-end models are only available in 4/4 sizes, instruments made in his Chinese workshop range from 1/8 to full-sized to 1/32. One of the benefits of purchasing a Scott Cao violin is the ability to upgrade individual components of the violin during purchase,with beginner violin outfits available for under $500. If you are willing to pay a bit more, you can upgrade your case and bow. Scott Cao violins also come with high-quality oblong cases. A number of reviewers of the Scott Cao violins have found his higher models to be quite superior; however, his beginner models sometimes lacked the same power and beautiful tone. Still, his beginner model violins are, a lot of the time, much better than many other brands in the same price range. Concert violinists Sarah Chang, Gideon Kremer, Nigel Kennedy, and Itzhak Perlman all recommend the Scott Cao violins. However, I believe they are recommending the more expensive models worth well over the $1,000 --$2,000 mark. Scott Cao's Student line of violins are available at music shops world wide. Fiddlershop.com also stocks several Scott Cao violin models. Scott Cao STV 500 Violin. Windsor violins offer a reasonable quality instrument for those on a budget and are primarily aimed at the beginners and student market. The majority of their products are factory made, with just a small number of models handcrafted. Their range of violins are not likely to be sufficient enough for those who are heading towards higher violin grades but will certainly be sufficient for children showing an interest in learning. Due to the lower quality, the tone you will get from most Windsors will not be as warm as you may want but in the early stages of learning, this may not be noticed as much. Some of the Windsor models come in a range of colors, adding a splash of brightness to your practice sessions and showing that violin playing is not dull or conservative. Colors include blue, pink and purple but, if you are a fan of tradition, there are wonderfully varnished violins that are laid bare to admire. You can also pick up a funky case for your violin, making the Windsor an all round good choice for your child’s first violin. Windsor violins may not be as durable as some other brands, with the strings on the bow likely to have to be replaced at some point, but it will certainly suit the needs of a beginner and is solid choice for those wanting to get to grips with the violin before splashing out on a higher quality item. Primavera is another great brand for students who are just starting out on their violin journey. There are lower priced violins for complete beginners and medium quality violins, that are a little more expensive, for those starting to work their way through grades. Regardless of what violin you go for, you are certain to have a reliable instrument that will produce, strong, if not professional level performances. Primavera’s are very popular in schools and with music tutors, particularly as they come in a wide range of sizes that will suit different students. You can purchase everything from a 4/4 through to 1/32, something that not many brands can offer. Ebony fittings and high quality wood give the violins a luxury feel and the handcrafted features make it easy for newcomers to adapt to holding and playing the violin. Primavera are constantly looking for cost effective ways to improve the music experience, without pushing up prices too much, such as the introduction of a metal alloy tailpiece and improved wood quality in the bridge. Primavera is certainly not the best violin brand on the market but in terms of the warm tone and durability, these violins are excellent value for money and will not leave you feeling that you have wasted your money. WARNING: Regarding these lower priced "Mendini Violins by Cecilio. (tailpiece, chin rest, fingerboard, pegs) as often advertised. The so-called "ebony" fittings are actually made from some unknown type of wood that looks and smells a lot like Hickory that has been painted over to fool the buyer into believing it is real ebony. I think the price alone of these cheaper "Mendini" violins should be of some indication that real ebony is not being used. It seems in the world of violins, you do often get what you pay for. 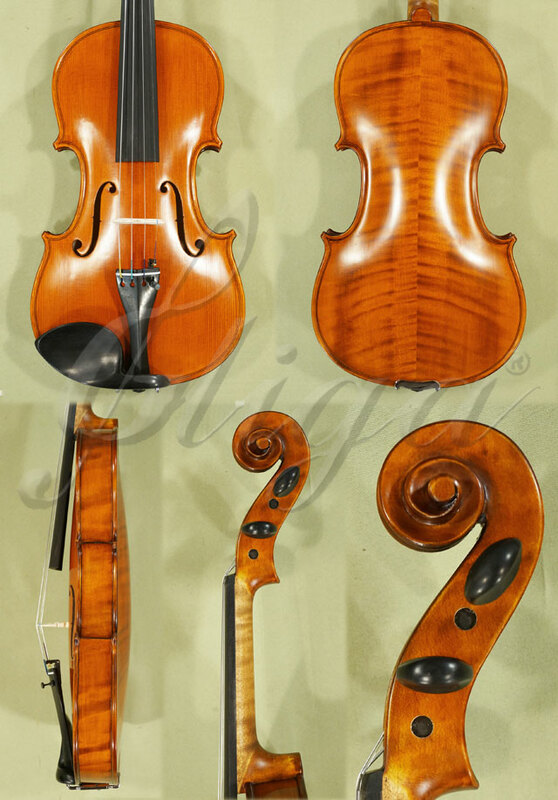 This apparent deception by Cecilio, the makers of the "Mendini" violins, would ordinarily be enough to make me want to delete both the Cecilio and Mendini violin reviews here because I detest any form of deception, especially when it one based on greed and profit at the expense of a vulnerable and unsuspecting customer. I may very well indeed wipe Cecilio and Mendini from this review purely on principal, but for now I will leave them intact and simply caution any potential buyer to BEWARE. This company has certainly lost any respect I held for it, and their name will never be mentioned in any further reviews. Mendini is another low to mid budget brand, that are ideal for beginners and those still at a lower grade. Almost all factory made, the instruments offer good value for money and produce tones of a medium quality. Although the violins are low in price, they are durable and will see students through mid range grades when it will be time to invest in a higher quality model. As the violins are not handcrafted, there will be an element of fine tuning and adjustments to be made in order to get the best sound possible. Mendini violins are frowned upon by professionals, due the quality of both the violin and bow. Although you will pay a lower price, you are likely to have to replace the strings as soon as you purchase it, as the quality is not as good as it could be. However, children learning the basics of the violin will not see any issue and it will not hurt the purse strings too much if your child changes their mind. Like Windsor, Mendini offer a range of funky colors and cases that may appeal to a reluctant learner. To a trained ear, the quality of sound is affected by the layers of paint and polyurethane but this should not be an issue for a newcomer or a tutor. Mendini violins are fun and functional but above all good value for money for what you get. Great for families on a budget, who would otherwise be put off encouraging children to learn an instrument. Cecilio produce great quality violins, and win affection from violinist all levels, with their handcrafted violins and high quality bows. Named after the patron saint of music and musicians, St. Cecilia, experienced violinists can certainly make heavenly music with their violins. Not as heavenly as a Stradivarius or a Guarneri, of course, but definitely an affordable chance to get your hands on serious bit of kit. Professional players can relax in the knowledge that Cecilio put their orchestra quality violins through rigorous tests to ensure they are fit for purpose. They also pride themselves on using top quality wood, mainly maple and spruce, and top notch ebony for all of their fittings. D’Addario strings offer additional quality and you can have faith in the fact that you will not have to change your bow strings frequently. Cecilio makes certain that a lot of care is taken in the presentation of the violin, with neat cases, good quality rosin and extra bridges coming with all violins. Although the top-end violins can be expensive, teachers around the world rate Cecilio very highly. Cecilio violins will last many years and can be handed down through the family, making it a great sentimental buy as well as something that will provide years of great music. The instrument shown in the photograph regarding the description of the violin is the same instrument the buyer receives. Below is a description of what the $213.00 left-handed model looks like and the accessories that come with it. This Romanian-made violin is hand carved in Gliga's workshop. GC6691 - 4/4 School 'GENIAL 2-Nitro' Left Handed Violin Outfit. Ragetti RV5 compared to Gliga 3 (entry level Gliga) in video below. More than a hundred years ago, a man, with very little knowledge of violin making, crafted his first violin, and thus laid the foundation of an empire the world would come to know as being synonymous with good quality Japanese - built violins. His name: Masakichi Suzuki. His empire: The Suzuki violin company. To this day, the Suzuki brand of violin is regarded as the most widely used violin for beginner violin students in the world, and is often preferred over all other brands by violin tutors for their beginning students due to its uniformity of sound, craftsmanship, and playability. There is no escaping the fact that Suzuki do indeed make very good violins for beginner students, however, to be fair to this review, I feel it necessary to state that it has often been said that the Suzuki violins being manufactured today, despite the rigorous quality control and uniformity of sound and craftsmanship and over all an excellent product, they are not as good as the Suzuki violins pre-dating the 1980s. This may have something to do with the age of the wood that was used to make the pre-1980s violins compared to the number of years the wood of today's Suzuki violins has been aged before being crafted into violins -- this, plus the dubious country of manufacture. I have read differing reports on where the Suzuki violins are actually made. As far as I am aware, they once used to be made exclusively in Japan, from start to finish. I have read other reports saying they are "crafted" in Japan, meaning, the wooden components are cut in Japan, and then shipped over to China to be assembled, and then shipped back to Japan for distribution, and then labeled "Crafted in Japan", which leads the unsuspecting would -- be purchaser to believe the Suzuki violin to be fully made and assembled in Japan. And more recently, I have seen Suzuki violins being advertised as actually being "Made in Japan", which could lead many to think that this may simply be a marketing ploy or a misunderstanding by distributors and sales people of what the word "crafted" actually means when referring to country of origin or country of COMPLETE manufacture. If it were truly made exclusively in Japan from start to finish, with absolutely no work being done in any other country, then I am sure the beginner student models would cost FAR more than what they do already. There also appears to be a bit of confusion regarding the FS model vs the SN model. Recent investigation shows that some retailers of the Suzuki violin are not bothering to advertise if it is an FS or and SN model. They are simply labeling it as the Nagoya Suzuki 220 violin outfit. However, I think the FS is the slightly older model that was replaced by the SN -- "SN" standing for Suzuki Nagoya. You will also see the name reversed, as in Nagoya Suzuki. That said, Suzuki violins are STILL a force to be reckoned with when looking at name brand violins of good quality and consistency for under $500. Though, as popular as they are, and despite the fact they are a very popular violin played in classrooms, music schools and teaching studios all over the world, and are actually preferred by many violin teachers over all other brands, there is actually very little information and reviews regarding this well -- respected violin brand. The above information and the few video reviews from different parts of the world that follow, have been all I could come up with since beginning this projects many months ago. And to make matters worse: in an effort to increase their profit margins, many violin retailers have replaced the Suzuki line of violins with cheaper alternative imports from China. Thankfully, there are still a few decent and committed retailers willing to stand by the Suzuki name and stock these iconic violins. Please note: The style of fine tuners and chin rest may vary on the different sizes of the Suzuki Nagoya 220. Country of manufacture -- mostly China. This particular violin represents value for money. It is an entry level violin that would suit a complete beginner up to around year 3 or 4 of their playing. The sound is clear and warm with a slightly dark tone. The sound projects well and is consistent across all strings. The Fiddlerman Apprentice Violin Outfit is adjusted and tested by Fiddlerman himself and arrives ready to play out of the box. -- Fully hand-carved violin made with spruce top and maple back and sides that has been aged for a minimum of 5 years. -- Wittner-style tailpiece with four built-in fine tuners. Note: Fractional violins come with Prelude (steel) strings. This particular violin has a sweet rounded sound that projects well. Somewhat brighter than the Fiddlerman Apprentice Violin, it can easily reach the higher registers on the E string without choking. 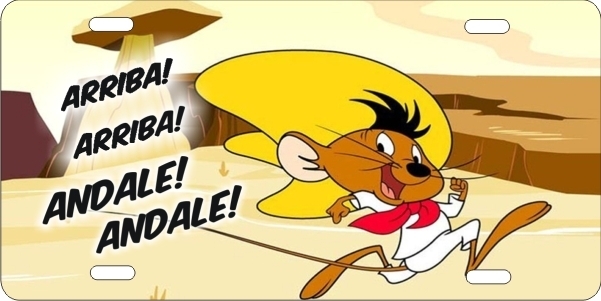 -- Professional set up and tested by Fiddlerman. Arrives ready to play out of the box. -- Brand of strings uncertain but could be Fiddlerman Violin Strings. -- And everything that the Fiddlerman Apprentice Violin comes with. Another violin I feel worth mentioning is the Ricard Bunnel brand made for and sold exclusively by Kennedy Violins in Vancouver, WA. Kennedy Violins have both an on-line store as well as a physical shop front store. The Ricard Bunnel brand is made in China to Kennedy Violin's specifications. The two violins worth mentioning here are the Ricard Bunnel G1 and the Ricard Bunnel G2 -- the G1 being around $100.00 more expensive than the G2. Shipping and handling is INCLUDED in the purchase price. Note: I am uncertain if the included shipping and handling is just for purchases within the USA or if it also applies to international purchases. Although sounding reasonably strong with good projection in the above video, you will hear from the comparison video in the Fiddlerman Apprentice Violin section that despite the Ricard Bunnel G2 seeming to have a warm and slightly darker tone, it appears to struggle when it comes to the projection of its sound. In the same comparison video, you will also notice that the reviewer appears to have to work a little harder to bring out the sound. There is no doubting that Ricard Bunnel G2 is a very nice -looking violin, and it does have a nice sound and playability that would invite a beginner to want to keep playing, however, I feel this particular violin should be offering a little more in the sound department, especially when compared to a similarly priced violin in the comparison video above. To me, the Ricard Bunnel G2 appears to have a nice slightly dark sound with a warm tone, but if you are looking for a violin that projects well and that can reach the back of an auditorium, then I would suggest you consider another violin. Note: I am not talking loudness; when I speak of projection, I am referring to how far its sound can project. This topic contains 74 replies, has 11 voices, and was last updated by John Cockman 2 years ago. Please see this knockout review of the best fiddles under $500, by Great Scott. So much great information — it really is a must-read for anyone thinking of buying an affordable violin. Scott, this is so well done. Great formatting, with photos and video. This is the best post on affordable violins I have ever seen. You continue to amaze me! Perfect price break — “I’m looking for something under $500” is a phrase I hear all the time by folks looking for a good intro instrument for themselves or their children. After reading this post, I feel like I can speak MUCH more knowledgeably about the various options out there. GREAT work, my friend. Keeps getting better! Awesome post, Great Scott. Hahaha Scott you’re a rock star. But you’re still selling yourself short. Maybe it’s time for a new manager! 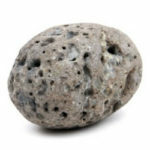 With posts like this one, you could start your own web site! Nice addition of the Raggetti by Scott Cao. The Scott Cao lines are really pretty good, and it’s nice to hear they are making some thunder down under. I’m all for making the fiddle more accessible to the masses, and the under $500 violin makers are doing just that. I really enjoyed this article, Scott. You put a lot of time and effort in it. 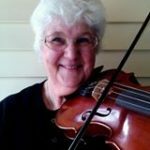 I like my fiddle but had I have had your review before I bought mine, I might have bought one on your list! Wow awesome work on this Scott. This would have been a great resource when I was first looking to purchase mine. The one I bought is not on your list (Ricard Bunnel G1 from Kennedy Violins) but this list sure is a great resource for someone just starting out. Scott, thank you for compiling all of this helpful information in one place: quality violins at reasonable prices. I’m still going through it and, though not in a buying phase right now, am grateful to have all this information for the future in case I need it. You’ve shown that it takes a lot of thought and research to find the right violin! Also, I think most of these violins will improve in sound as they are played. John, Rock, Pete and Justine ~~ Thank all for your very kind words. You are all very encouraging and make me feel the effort was worth the undertaking. 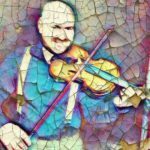 I sincerely hope the reviews in this thread can be of some assistance to someone who might be considering purchasing their first fiddle, or even upgrading, and doesn’t want to experience a heart break buy buying a non-descript fiddle, aka a VSO (violin shaped object) from an obscure source on-line that could otherwise disappoint them and totally turn them off wanting to play the fiddle for life. The fiddle is such a difficult instrument to learn to play as it is, so why not buy something half-decent to begin with for a few hundred dollars, and enjoy the sound of it as well as the whole experience. That said, there are some nice fiddles to be bought on the Internet “auction” site(s) but you are buying a pig in a poke, and good fortune does not always favor those who buy a fiddle “sight unseen” off the Internet. Always best to go to a dealer / stringed instrument store in person and try a number of fiddles out to get the one you like. I am afraid there is not a whole bunch of information on a few of the violins that are in this thread, and so I will be slow to add whatever information I can find about them. I have tried to stay with the more well-known / familiar brand names that offer a quality product for the price. The fact is that there are just SO many name brands out there that it would be a waste of resources to try to list them all. Fabulous. I can’t wait for google to index this page. It really is a concise and informative resource. Great update, Great Scott. I feel like this is the best resource on the internet for someone comparing violins under $500. but as any company anywhere you have things made to the specks you want. I was impresses. We have a company here and they build lawnmowers. They could be making Club Cadet and change over to Troy built. All to each specks. Thanks for all you put into this. Good reviews with alot of information. I got a gliga violin from a pawn shop an I love it. Very nice sound to it. I dont know what model it is, has a label in it in a different language with I think year is 2005. Might have been before they gave them the different names maybe. My luthier (who did the setup on it I use in Tulsa) said it was a very well made nice violin, worth alot more than what I had in it. Tell me about it! It just got even better. Thank you, Boerge. I hope you don’t think I was speaking too negatively about the Stentor violins. I know you have a Stentor 2 violin and perhaps you got a good one and you are very happy with it. I tried playing mine the other day (in between reviews, LOL!) and although it is playable, there is nothing about it that inspires me or makes me want to learn to play; so I put it back in its cage after a minute or two of petting. After a concert yesterday evening, I had dinner with a friend who has actually held and played both a genuine Stradivarius violin and a genuine Guarneri. He is a fantastic mandolin/guitar player, but does not consider himself to be a great fiddler, but he said it was without a doubt one of the sweetest instruments he has ever played. However, he was not blown away by it like he thought he would be. Today’s violin makers have become so proficient at creating copies, professionals actually seem to prefer the newer instruments in a blind test. My point is, the gulf between expensive handmade instruments and cheap factory instruments is not expansive today as it was in decades past. As technology improves, mass-produced instruments are improving as well. This post by Great Scott presents a deep field of inexpensive instruments that sound, feel, and play as well as many mid-range, hand-made violins. Do they sound like a Strad? Probably not. However, beginner violinists of today are getting a lot more bang for their buck than when I was first starting out. Hi Gu, that is great insight. A vibration machine — who would have known? My first fiddle teacher told me to put my fiddle in front of the stereo, so it would get vibrated every time I listened to music. I have no empirical evidence, but I think it might have helped! New review added for Eastman violins on August 15, 2015. The first time I ran across the Eastman company, I thought it was a gimick. Even the name (Eastman) seems a tongue-in-cheek reference to its Chinese origins, and at the time, China had a reputation for cheap, low-quality instruments. How things have changed! Eastman has proved itself to be a great provider of good, inexpensive (high-value) instruments, while helping China shake off the “junk” label. Thank you, John. The Eastman violins are a force to be reckoned with. Just a few years ago, Strings Magazine did a review on the best upper end violins, and an Eastman violin came in at First Place, and a Scott Cao model came in at Second Place. As I stated earlier in the Scott Cao review: It is his higher end violins that are very good. Sadly lot of his lower end student stuff is not all that great. Still, if I were to have to choose between a Scott Cao and an Eastman student model violin, I would choose the Eastman VL-100, simply for it’s quality of craftsmanship, but especially for its remarkable tonal quality. One has to always remember: All that glitters isn’t necessarily gold; and just because a violin looks like a work of art, it doesn’t mean it is going to have work of art tonal qualities. I have seen and heard some beautiful-looking violins that sounded atrocious. And I have seen and heard some quite plain, if not ugly, violins produce the most beautiful sound, as if they were actually singing. I sometimes find people to be the same. Violin or person, it is the heart of the instrument that reflects its true beauty, and not its exterior. PS ~ I too love the tongue-in-cheek company name. East meets West! When one thinks back before World War 2, anything made in Japan was considered to be total junk. Then, after the war, and as the world began to organize itself again, Japan re-invented herself, and over the years, Japan became known for its excellence of quality Japanese-made products. Even today, the two major players for quality of manufacture are Japan and Germany. I think China will get there slowly, but I feel they need to limit their scope and focus on LESS consumerables and MORE quality. That said, there are some remarkable violins being produced by dedicated private Chinese luthiers. However, as much as the Chinese tone-woods are good, it is my opinion and that of many, that the European spruces and maples are of a higher quality. I’m with you, Scott — I think European woods and craftsmanship is superior to most of what is coming out of China. Still, I think China will successfully rebrand itself as it continues to put forth quality products. Great work — you have certainly done your homework! Enjoyed you’re research into the under $500 fiddle world. I appreciate all the “leg work” you did for us. As for me, I’m still renting the fiddle from Kennedy Violins for $33.00 a month. I hope to one day own a fiddle that I can call mine. I guess I’m just skeptical in my old age, I have a hard time sorting through what is true and what is hype and overly enthusiastic sales representations. But I guess somewhere along the line there has to be some trust. I suppose if a person actually buys a fiddle online, be prepared to have budgeted enough money for returns until you find the right instrument that speaks to you. Of course, if it’s possible, play the fiddle under your ear, at a retail store. Having been learning fiddle for only 4 months now, I don’t have a trained ear that understands the difference in a decent sounding or great sounding violin under my ear. I’m at the mercy of the seller at this point. I totally get you are talking under $500 fiddles. And the day could come when we may want to upgrade or not. I know this info you have provided here will be extremely valuable to those that searching for a good instrument to learn on! Caintuck, renting is a nice way to go when you are looking for your perfect match. For a lot of us, $500 is still a good chunk. However, I remember when I did my first upgrade to a student model, I know I would have really, really appreciated this post then. Not only would it have educated me about the different options out there, it also contains aural comparisons and commentary. That would have been huge for me! 🙂 Great Scott, no hard feelings, cause if I was satisfied with Stentor 2, I would not changed tailpiece, bridge, adjust Soundpost, adjust strings hight and so on…. My next fiddle will not be Stentor. It will be an european handmade. So fare competition is between Gliga master or a Hofner. I am glad you will be considering a new fiddle in a year or so. The Stentors are a good “starter” fiddle but if I had my time over, I would have traveled the world searching for that ONE fiddle whose sound made me buckle at the knees, like a perfect kiss. About one year ago, I had the opportunity of buying the most beautiful sounding violin with a slightly darker tone that sounded like it was SINGING. I was fairly new to violins then, and I was a little hesitant to buy it because there was the small repair to the sound hole (f hole). I decided to buy another violin instead– my current 1920s German-made violin that never left Germany until I bought it. I have kicked myself ever since for choosing an almost perfect-looking violin with an average sound instead of that darker bodied German violin with the sound hole repair and the slightly dark beautiful singing voice. I have not heard many violins that “sing”. I do NOT like bright-sounding violins! And I have come to learn that no matter how beautiful a violin may look, it is the SOUND of a violin that matters most. I think you would be very pleased if you bought a Gliga (Gamma). They have some very good user comments and they have a slightly darker tone. Evangeline is a good fiddle but she is a little too bright for me. At some point I want to find another deep-singing gypsy violin that will charm me off my feet, as Great Scott was saying. Keep an eye out for me! Thanks for all the hard work on this thread. I know I haven’t been playing long but I have acquired two fiddles so far, both of which may be reviewed here. The Mendini MV400 ($90 New Online) and an Eastman Signature Series ($100 Used from Reverb.com) from 2003 that was used in Marshall Music’s rental program.. I haven’t been able to figure out which if any of the VL series 80, 100 etc… mine might be similar to. The Eastman Signature came with a nice, light composite bow and plays much better than the Mendini but I actually think the Mendini has a slightly more pleasing tone that the Eastman. At least while playing it. I wished I had a good “fiddle” setup guy near me. I just know it would make a huge difference!!! Hey Mikey, I wish I lived closer , there’s nothing I like more then setting up a fiddle so it sounds better. There are a few things you could do yourself that could make a noticeable difference . I purchased the Mendini myself for my daughter and was not all that happy with the tone, I moved the sound post and thinned out the bridge and had to re make a nut cause the one factory built was off by 2,3mm too much so.. Yup, sounds better now, sometimes a little do it yourself can give surprising results under certain subtle guidance. On a fiddle that’s under 500$ , I would not hesitate. Sometimes just really good quality strings make a huge difference?? Thanks Gu, after I saw how much better the Eastman played than the Mendini (really didn’t know any better) I did do a little carving and thinning on the extra bridge that came with it. Afraid to go too far I just took a smidge off and it did get a little better (lower action). 🙂 GS in China you can get good high quality fiddles too, but then its not cheap. You get what you pay…. Slata in Holland give me an idea, so the stentor 2 will be an 14″ Viola as a life after …. New reviews added for Fiddlerman Violins and Kennedy’s “Ricard Bunnel” line of violins September 15, 2015. Heavens to Betsy! A good thing just got better. It’s about time Pierre made this list! And Kennedy Violins is another great standby. Thank you Great Scott! Thank you Saint John! I has been a very rewarding experience to investigate all the violins that are mentioned in this review. It has also been a little challenging at times due to my own time constraints. Nonetheless, it has been quite an experience and I have learned a LOT in the process. Initially, I was not going to include the Fiddlerman violins in the review simply because I was trying to focus the review more on familiar brand names and because I have no idea of which workshop actually produces the Fiddlerman brand of violins. However, I decided to include the FM violins in the review because they have become very popular and because they represent what I and many others feel is good value for money. Seriously, the real reason is explained in my above post. You know, I am a big admirer of he-who-must-not-be-named. By making is talents available online, he expanded his business from a Florida shop to a worldwide phenom. I can only dream that one day I will be booking a BGD cruise where we all get together for four days of fiddling aboard Carnival’s finest while enjoying the views of the West Indies. So, I am glad you included the Fiddlerman-branded fiddles in your honest and informative review above. Carry on!